Louis Moinet introduces the Legends collection of timepieces, each one dedicated to an iconic personality who has excelled in their field. This first vintage turns the spotlight on racing drivers. Nelson Piquet and Scott Dixon lend themselves to two chronographs, each as a 365-piece limited series. The case of the Nelson Piquet chronograph draws on recent technological innovations in motor racing, with a screw-down steel bezel on a carbon fibre base. The same carbon fibre reappears in the inserts of the pushers at 2 and 4 o'clock, both engraved with the chequered flag motif. 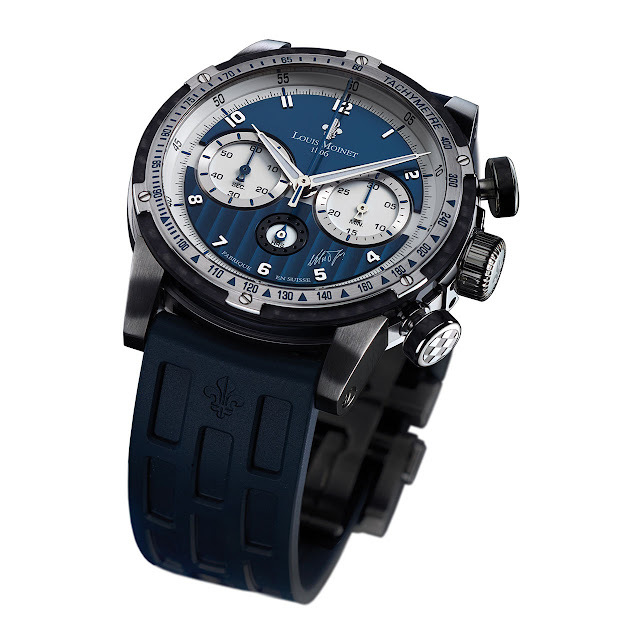 The blue "Côtes de Genève" guilloché dial concentrates the chronograph counters and luminescent hands. 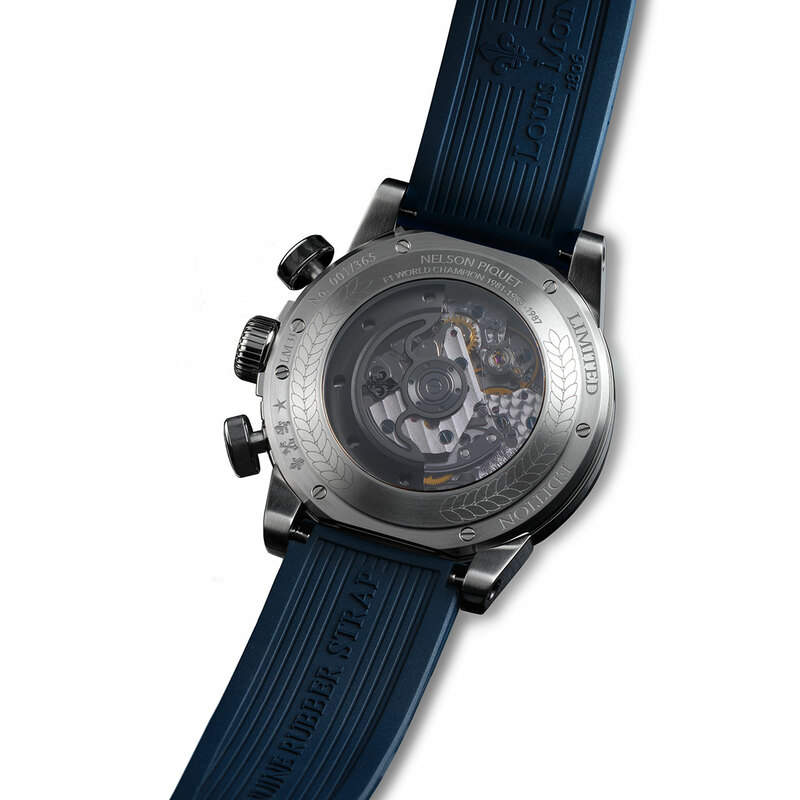 The rubber strap will appeal to motor-racing fans and admirers of the three-times Formula 1 world champion.